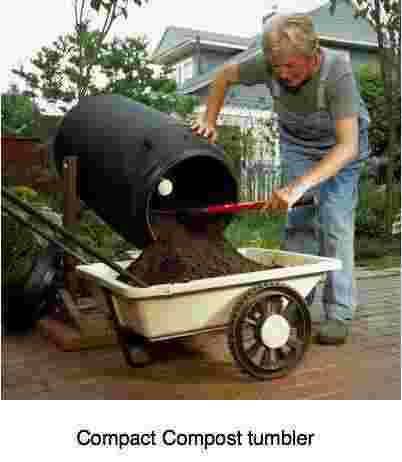 Compact compost tumbler is a neat way to make humus in a small garden. 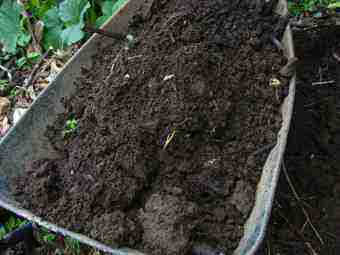 Good, well matured compost looks just like rich, dark coloured earth. If it's still got a few small sticks and bits and pieces, don't be anxious. 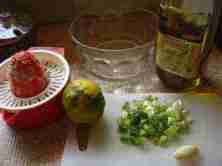 The nutrients are there and that's what you need for organic gardening. 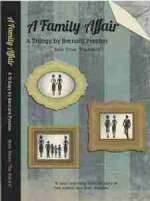 This page was updated on 29th October, 2018. Nitrogen fixation bacteria are vital to the health of the planet; some comes from lightning but most comes from bugs in your compost pile and along the roots of legumes. 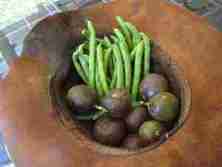 Good, quick composting, depends on oxygenation. That's where the compact compost tumbler comes into its own; it provides instant, plentiful air. It's good exercise for your arm too; beats going to the gym, right? And you find you'll be spending less time with your shrink, and the man who shakes up your bones. Gardening is one good way in which you can do your level best to put your psychologist and chiropractor out of business. But first here's a suggestion; gardening is good exercise, but it's also hard work. Before venturing down to where you'll use the mature contents of the compact compost tumbler to grow your cabbages and kale, take two minutes to do our simple lower back workouts. For more information, scroll down. Aerobic composting, fully oxygenated, is faster and cleaner; it has no smell, and is more environmentally friendly. The tumbler supplies sufficient air for your own rapidly produced humus. It's a neat gadget. The downside is that it's expensive, and will provide only very limited amounts of compost. But, if you have limited space and capacity, the compact compost tumbler is fine. There are quite a lot of different makes on the market; just expensive. Do your homework first, and check out as many different ones as possible; some are trash. Fill it with all your kitchen waste, potato peels, banana and watermelon skins but raw stuff only. Egg shells but again not if they've been hard boiled. Absolutely nothing cooked in your compost containers because the bugs won't decompose them; it may smell and will attract vermin. The cooked material from your kitchen can go into your worm farm; they don't take up much room but there is some smell from the liquid compost that is produced; so empty the juice every day onto your peas and beans, and lettuces. 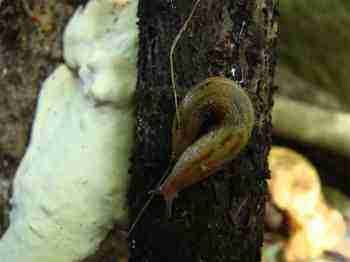 Add any earthworms you find in the garden; and any small sticks or logs that are obviously covered in algae or fungi. It simply speeds up the process if you can seed your compact compost tumbler with some of the myriad of bugs involved in the decomposition of organic material. A small can of chicken litter or cow manure would help too. There are plenty of compact compost tumblers on the market and they all do the job; pick the one you like the look of; avoid any that are cheap and obviously nasty. Avoid any made of wood; it will just rot. 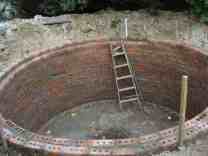 Don't compact the material down and do not saturate it with water; a little damp, yes, but not sodden. As the bacteria attack the contents of your compact compost tumbler it will naturally settle and you can can add more material from your kitchen containers. Actually, it's not a bad idea to have two. Periodically you can tip the contents of the first into the second. Remember, aerobic composting is what it's about; plenty of oxygen. Anaerobic composting, with limited oxygen will produce sulphurous gases and stink. For speedy decomposition of all that organic material you need compost bugs. Don't you love all those colours? They are so vibrant; whites and yellows, reds and blacks. Actually they are much more spectacular than my photo. 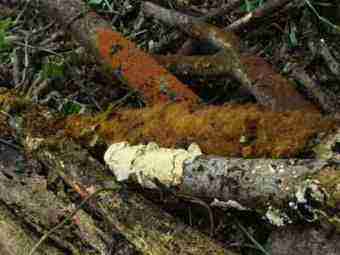 Nature is just wonderful the way a fungus will attack wood and render it into the finest black compost. 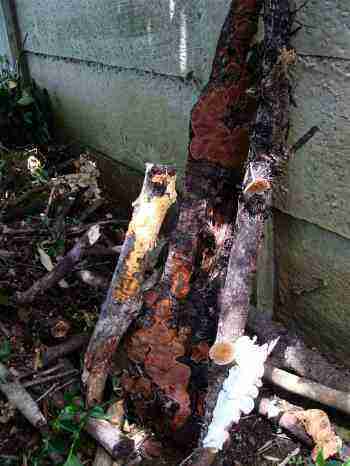 Unless you're also a beekeeper you'll love fungus in the garden. They attack our hives too. Now we dip them into hot wax instead of painting them. I say isn't nature wonderful? What I really mean is, the good Lord made them all, isn't He wonderful? When I'm busy in the garden, it's a good time to commune with Him, wallow a bit in his love for me, and enjoy the beauty of his creation. I get some flack sometimes when I wax too strongly on the love of Almighty God for each and everyone of us. The way you Christians bring religion into everything, even Xmas. Well, you see, I believe in being a Christian without being religious. God doesn't just live in cathedrals; it all started in a garden, right? The place we call Eden. Can't you see Creation as you call it is just a series of random events, coupled with Darwinian evolution? Well, actually, no I can't. To believe that those fungi came about by chance is like believing that my watch was made by a flash of lightning, the right ingredients and hey presto, a master clock piece. My Seiko was created by a clever Swiss man. 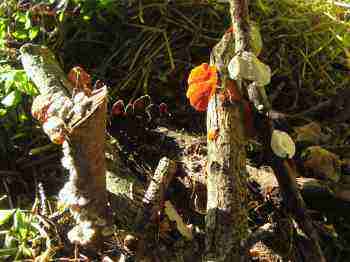 And those fungi? The Good Lord made them all! There's none so blind as they who will not see. This is what larger material decomposes down to; fine dark humus in two to three years. Yes, sticks and old logs take a lot longer to decompose that grass cuttings and old leaves and kitchen refuse; they take about three to four months. Aren't they stunning? Like the children, black and yellow, brown and white, the good Lord made them all. There is an alternative to the expensive compact compost tumbler for the larger garden. 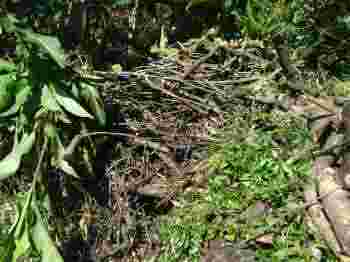 Just as you can make compost from grass mowings and general waste from the garden and kitchen, so you can make it from much larger sticks and logs. Starting a compost pile only takes a day of hard labour! but it takes considerably longer to produce fine well-rotted compost from them than making a compost pile out of grass cuttings and kitchen waste. Kitchen waste incidentally we now keep for the worm farm; an infestation of rats has moved in and depriving them of food is part of the solution; they love the contents of the pail of potato peels, rotten peaches, and so on. This is only for those privileged to have a large garden, with a quiet corner where you can make a timber compost heap that you can leave for a year or two. Longer if the logs are larger. 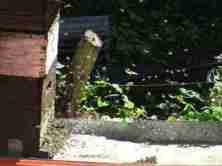 My apiary became seriously over grown during our seven year sojourn in the Netherlands. See what I mean? Seven years ago this was a beautiful apiary with 25 beehives. Dangerous African bees, Apis mellifera Scutellata, not to be messed with. 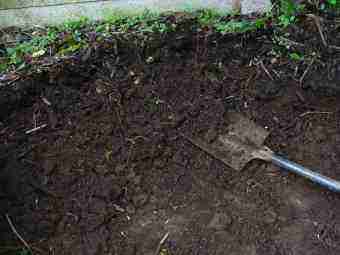 Choose a shady spot for your compost pile or compact compost tumbler. Mine is in the shade of a large mulberry tree. Aside: My granddaughter, aged nearly two, had last year a serious problem with constipation. Nasty. 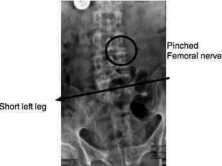 A large fissure formed, and she had a lot of abdominal and fissure pain. That mulberry tree cured her. Some stuff from the doc helped in the short term, but we didn't like what we read on the label... the side effects of drugs, don't minimise them. Over 200 000 Americans die every year from the side effects of medication. By chance really, granny discovered that a wander every morning round the mulberry bush was the cure. The wonder of nature, of our loving heavenly Father, the good Lord made them all. Soluble fibre in fruit is his gift to the constipated colon. Beets are magnificent too... prunes, plums... most fruit and veg. She's cured. Work with nature, not against it is the subject of backyard permaculture; it applies when dealing with a grumbling stomach too. Compact compost tumblers are perfect for the small garden and can be closed to keep vermin out. The wonder of worm farms means an unlimited supply of wrigglies to supplement the bacteria and fungi that break down the raw compost material; they simply speed up the process and simultaneously provide a magnificent liquid manure for your plants. It sounds enormous but can be as little as two 500ml plastic yoghurt containers, complementing the yield from compact compost tumbler. 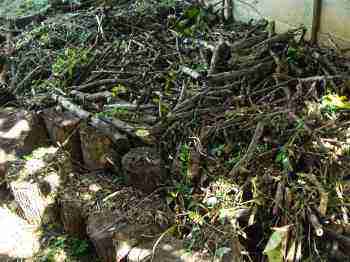 Carrying those short lengths of half decomposed sticks I'm making a compost pile. Around the edges I have placed larger logs, the more rotten the better. Then by wheelbarrow, by the sweat of my brow this area is slowly filling up. I will make it about a metre deep and then cover it with half dried and dead wandering Jew, a prolific green weed in our garden. That will keep the compost pile cool and damp. It may need to be sprayed with a hose occasionally in the dry months. Below you can see the compost I have from some logs I left behind seven years ago. 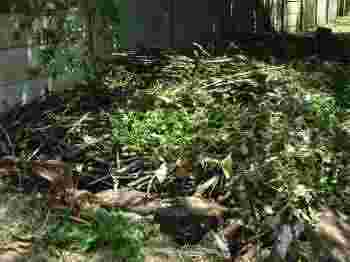 Notice the general principle; dry, then green, another layer of dried out material again and finally a topping of more weeds or grass; once this compost pile is about 4 foot deep, I'll close it for about a year, water when the weather is wintry, and perhaps take an occasional peep. I'm not expecting anything dramatic. Composting is a slow process. Air, bugs and earthworms; I'll chuck any earthworms I catch in the garden into the pile. They just love rotting logs. 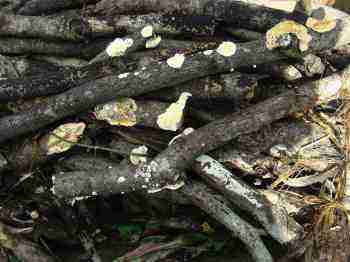 Build a compost pile - of sticks. Obviously this compost pile is neither compact, nor does it tumble. But it does achieve good aeration, same as the compact compost tumbler, because of the large gaps between the sticks. I'll make no attempt to compact this pile or tread it down; those gaps for transfer of air is vital for aerobic bugs. 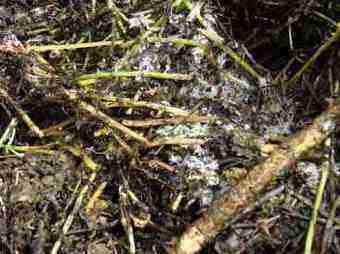 You can read more about aerobic and anaerobic decay at making a compost pile. "What the object of senile avarice may be, I cannot conceive. For can there be anything more absurd than to seek more journey money, the less there remains of the journey?" But let's not forget our passions. 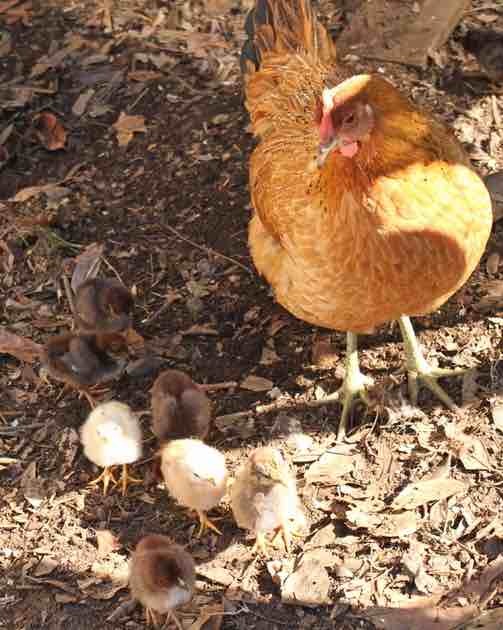 My grandchildren walk in Eden with us regularly, planting seeds, picking butternut, digging potatoes, podding lima beans and collecting the eggs from the hens. Already they are taking an interest in beekeeping, but not the stings, and one day I hope to introduce them to motorbikes, gliders and the lathe. Let's pass on the things that amuse and drive us to our children's children. Our children mostly refuse to learn too much from their ignorant parents! Growing butternut squash is only for the large garden, but my how they flourish in a compost pile; full of carotenes, those coloured substances that help prevent cancer. The compact compost tumbler soon proved too small for us. And now it's three years later; this is what all those sticks have composted down to. Just perfect to be moved to the veggie patch. 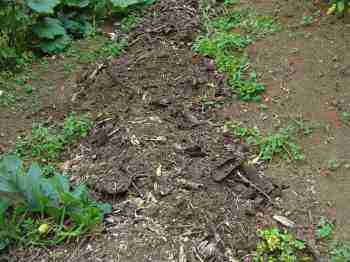 Or, you could just plant winter squash, also known as butternut, or peas right on this compost pile. 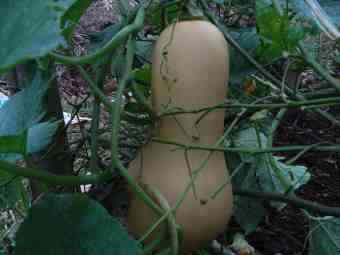 Here's is the butternut I've just photographed, planted deep in last year's build compost pile. 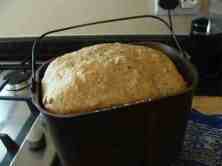 I've just measured it; six pounds and 28cm long. More important than the size is the deep orange colour it will have, rich in beta carotene; believe you me, the taste and the nutrition is quite different to any commercial butternut you can buy. Growing butternut squash is really fun but you do need a big garden. Unless you have a fence like this to grow them on, they meander all over the garden. Incidentally there's nothing the chooks like more than a butternut that's been stung. Chop it in half and leave it out for them before putting it in the compact compost tumbler. MAKING A COMPOST PILE …the regular sort.